I specialize in primary care sports medicine. I enjoy treating the entire athlete/patient. I have a special emphasis in interventional and diagnostic musculoskeletal ultrasound. I believe in providing each patient or athlete with individualized care. I want to help the patient be an active participant in his or her treatment. My goal for patients is to help them return to their sport as quickly and as safely as possible. 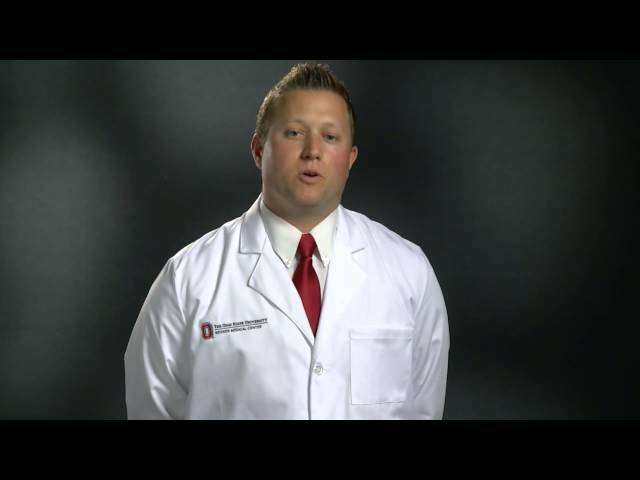 At The Ohio State University Wexner Medical Center, I enjoy working with Ohio State’s athletic department as a team physician. I also enjoy teaching and interacting with fellows, residents and medical students. In my spare time, I enjoy traveling, spending time outdoors and with my wife and our two dogs. Dr. Hartz was excellent. He got back with me very quickly about my results and was proactive in crafting a plan with consideration for my work schedule. He covers all the bases and answers all my questions in a manner I can understand. I was a walk in and he made space for me. Have emailed concerns via MyChart. Very quick to respond. Was very helpful with my questions. As of 12/20/2018, Dr. Hartz has reported no relationships with companies or entities.